White River Opened to the public in 1994 as Green Gardens, it contained a mainstreet, a ferriswheel, a GCI woodie called Radius, an old car ride called vintage cars and a beautifull little garden area. Due to very low ammount of vistors the park closed in 2001. But an invester called NVDB investments saw a big oppurtuninty to make Green Gardens a big themepark. They Start to demolish the mainstreet and the entrance building on the winter of 2001, and they re-themed the old castle themed area to a classic thempark style entrance and mainstreet. In the park lays a small river called : the white river, the spring of this river is next to the entrance. So this was the reason why NVDB changed the name to White River Amusement park in January 2002. This was the start of an new era in the park history. February 2002 : the mainstreet and entrance as we now it today are finished. Radius the GCI coaster gets a new layout due to alot of mechincal failures in the 1998 season. The ride was made alot smoother and longer. 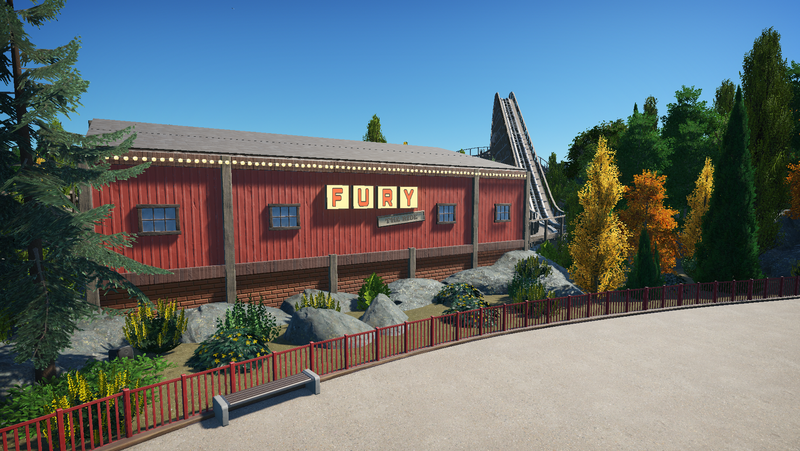 Also the name was changed to Fury : the ride. NVDB had new plans for the garden area, they wanted to add a junior ride. And so it happend also in February 2002 a new ride was born : Tornado. Named after the unique tornado element in the ride. After this area was finished it all begin to speed up, the park was building 4 new flatrides in March. 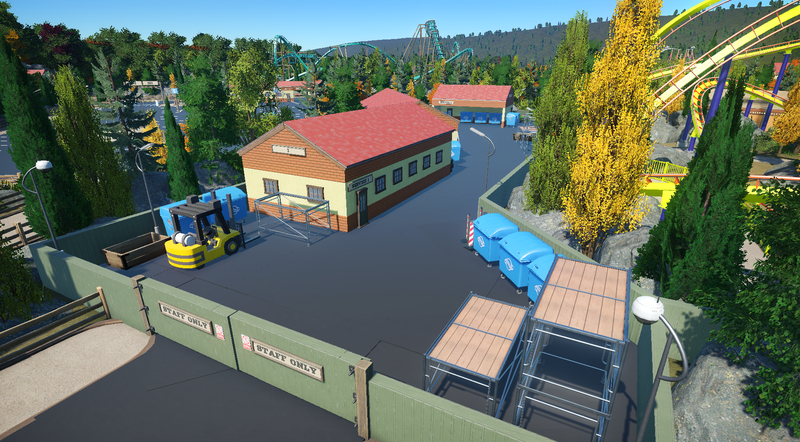 The next month was spend to make the infrastructre better around the park, Because the park is behind a small hill NVDB decides that instead of a road over the hill, to build a tunnel under the hill. Now the village of Maple Springs can come much easily to the park. And so the park opened in June 2002 as White River Amusement park. And after that day the park have become bigger and bigger with big additions such as : Cobra (2003) an B&M floorless and a new area called : Silver Highlands with a train ride (2004). Then the park added a logflume called Sawmill creek in 2006. Then for a long period they placed nothing in the park until the end of the 2009 season. The park anounced another addition of 4 new flatrides in the silver highlands area of the park. In 2011 NVDB investments had issues with another project where they had to pay a lot of money. That caused the park to close from 2012 to 2018. NVDB investments said : If we have paid all our debts we will start investing on the park again, and we can re-open the park. 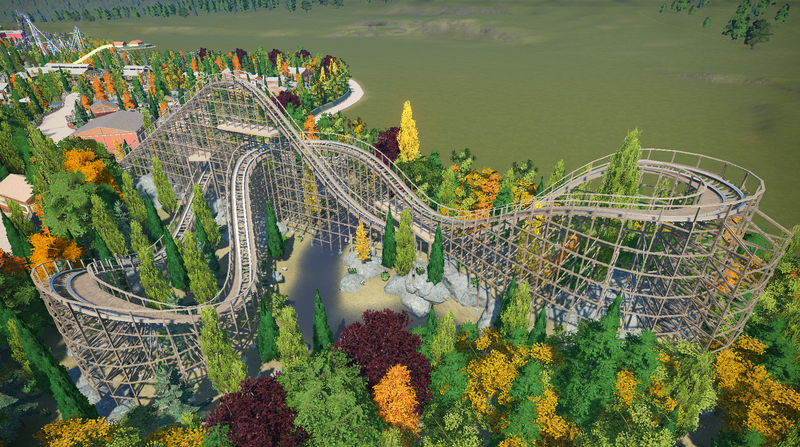 In the end of december 2018, NVDB was financial stable again, and they started to work on the park again! 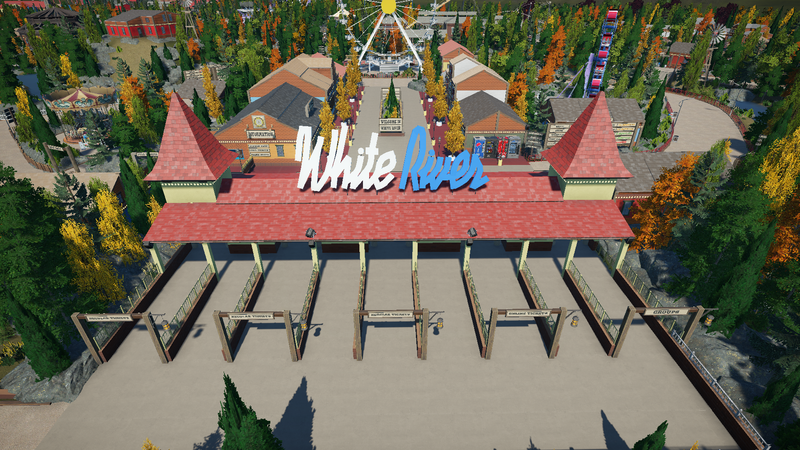 Now in 2019 I will show you the progress of White River Amusement park, because NVDB investments will add al lot of new attractions to the park this year! So first of al my name is Niels van den Berg, Started playing tycoon games 10 years ago. I've started with RCT1, here is where everything started the love for themeparks and creating coasters and realistic parks. 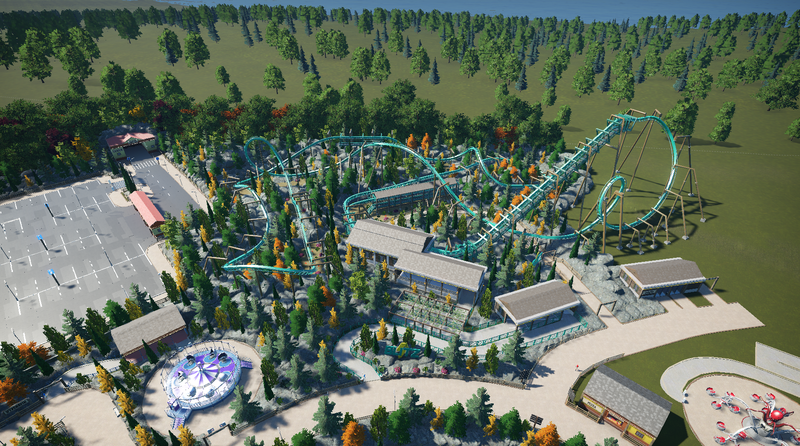 Then i switched to RCT2 because you had new parks and features. Then my parents bought a new laptop, when they did, one thing was sure I wanted RCT3, A 3D tycoon game with a Zoo pack and Waterpark pack. 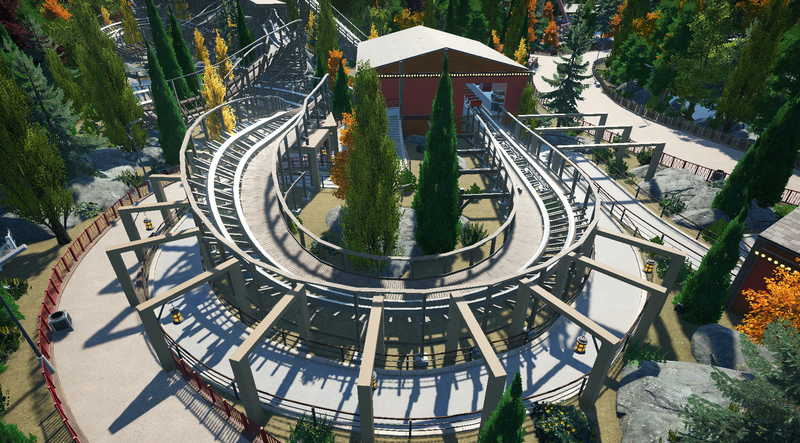 I spend hours and hours on this game, creating realistic layouts for coasters and making park entrances. Iv'e played alot of different games but for some reason theme park games have a special place in my heart. 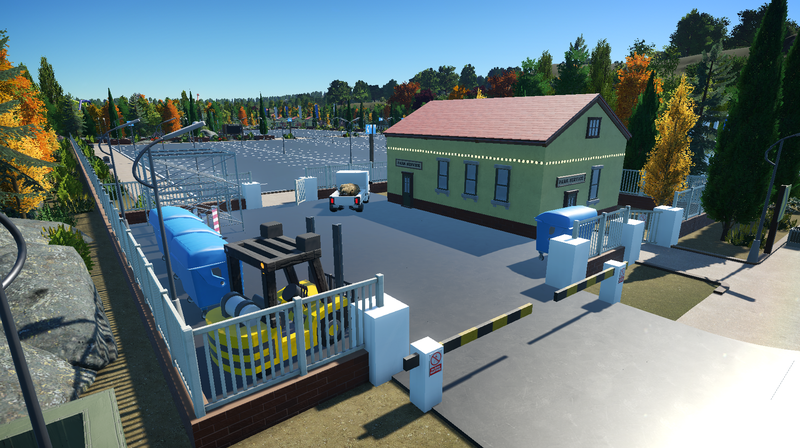 So when Planet coaster came out I was extremely happy, Becasue I have my own laptop now, that can run PlanCo easily. And because there was a new tycoon game. After the big failure of RCT World this was THE game to have. 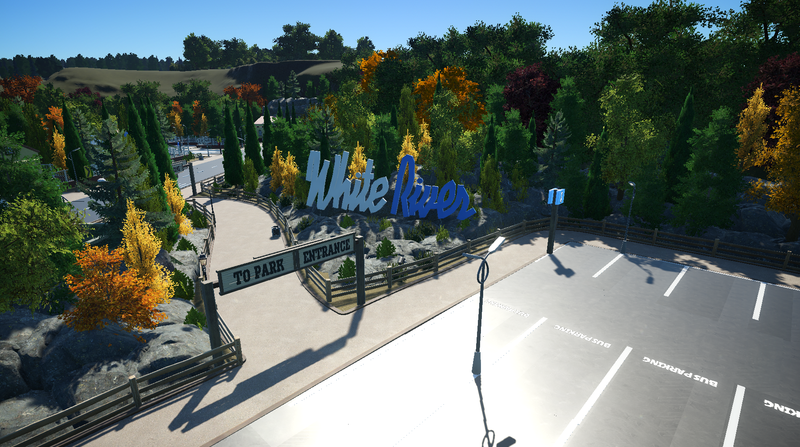 So when I bought it I started my first park : White River, a park that evolved really quick because I get used to the controls. 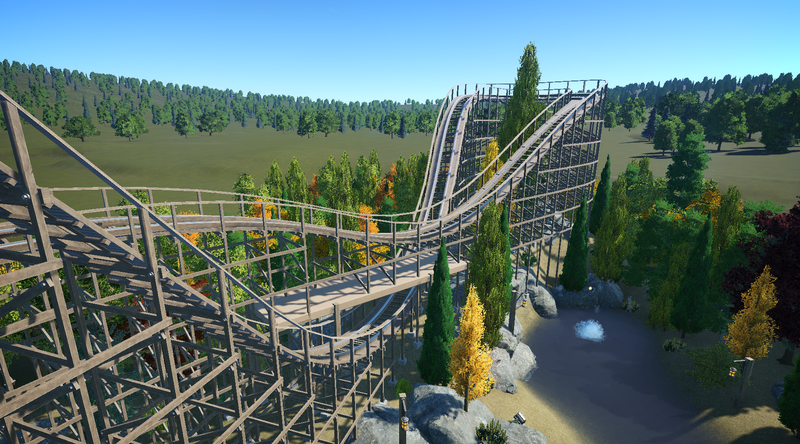 From an experiment to a realistic park with currently 6 coasters in use. 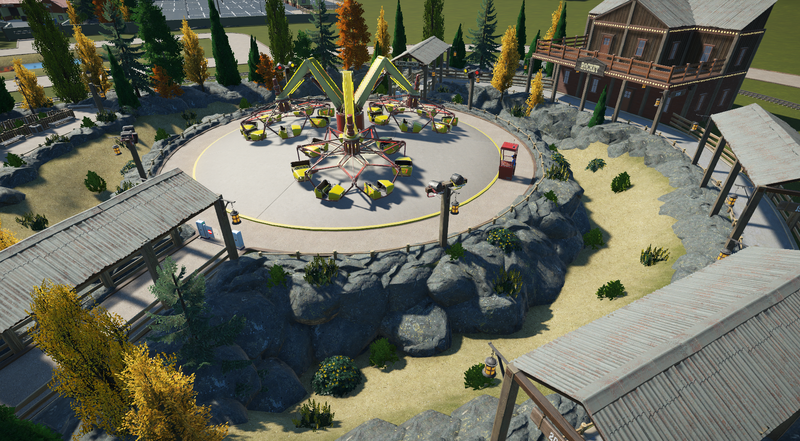 The park is not done yet, it is like a never ending story, I keep getting plans for it. 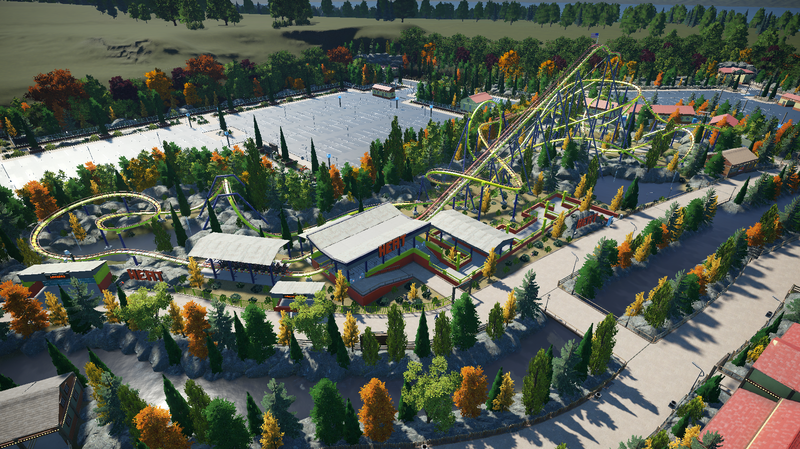 And that is why I want to share this park on a forum, to show what the park looks like and wich way it is going. So here it is! In the following days I will showcase some cool shots from the park! today I will show you some images from the park. 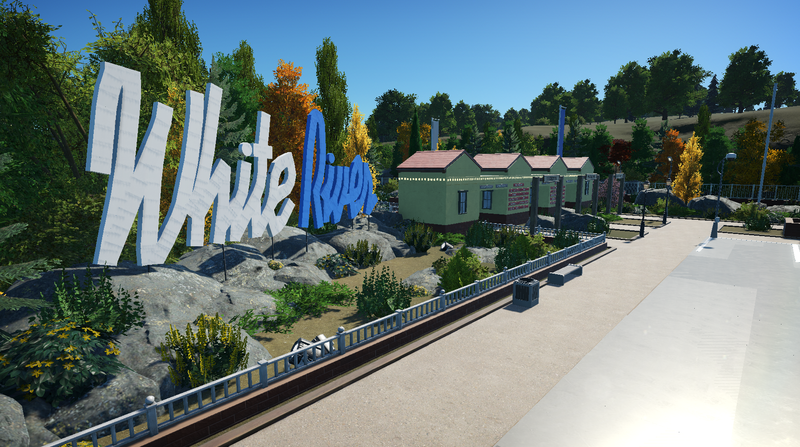 This is the entrance, a classic and simple design with the sign of White River on top, This entrance has changed much over the years. But the main parts are still standing from 2002 when NVDB investments changed the old entrance. 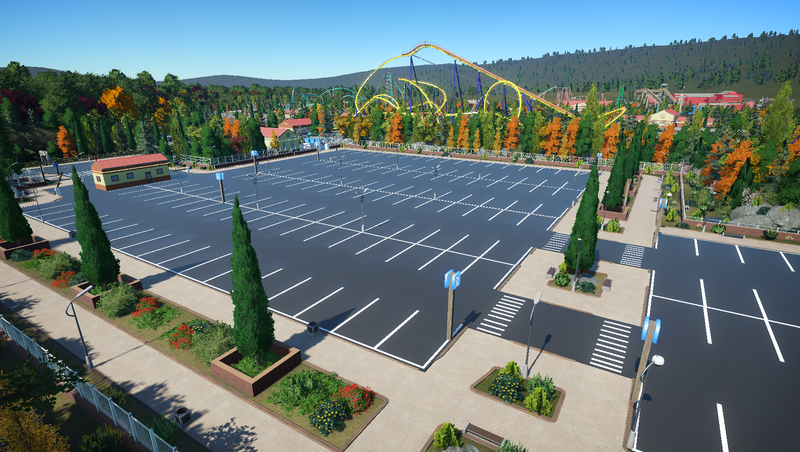 This is the parking lot as seen from the front of the park, you can also see the second parking lot in the background, this one is mostly used for coaches and big groups, This is aslo the parking lot you see first when you drive out of the tunnel that comes from Maple Springs. This is Rocket, I really like this setting, the ride really stands out on this way. 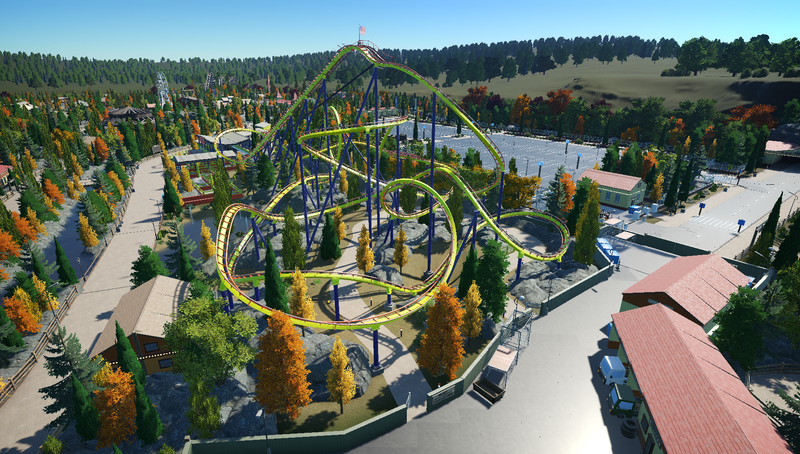 This ride was part of the second update with 4 new flatrides that came in the 2009 season, in the Silver Highlands area of the park. This is the station of Heat, this is a custom layout B&M floorless coaster, this coaster was born as Cobra in 2003, with a green track and grey supports, but the coaster got a re theme to heat in the 2010 season, it get a new station, logo, and coulour sheme. 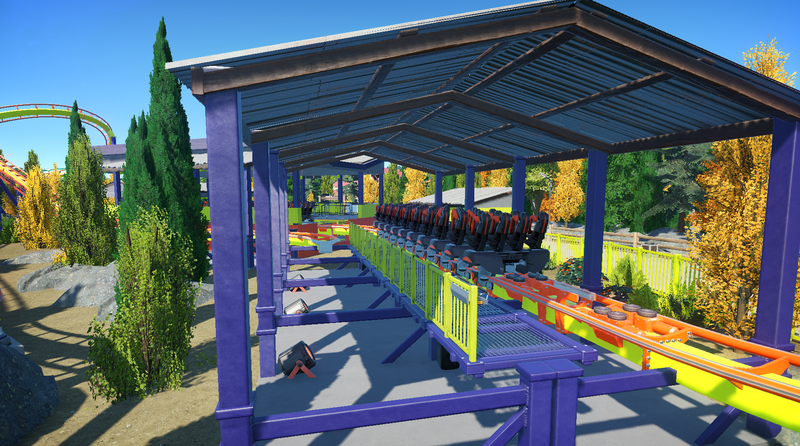 This is Blitz, A B&M Invert, this is still not finished yet, there is missing some theming on the right. The begin part is inspired by patriot, the sharp dive to the right follow by a loop, sharp turn to the right and then that iconic zero g roll. I like this park, especially the custom sign above the entrance. Neat. Keep it up, would love to see more. Lets start with Fury the Ride, the ride started his live as radius in 1994, but due many technical difficulties the ride closed for 2 years. 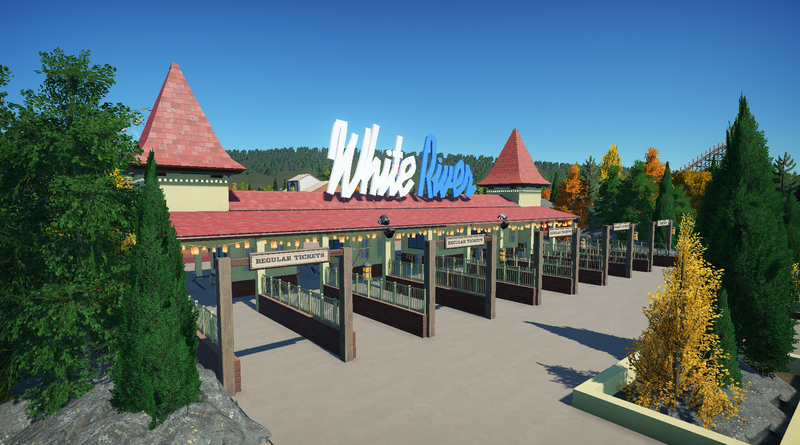 When the park became White River, the ride became Fury : the ride, the layout was extended and the colours changed from white to a more natural wood colour. 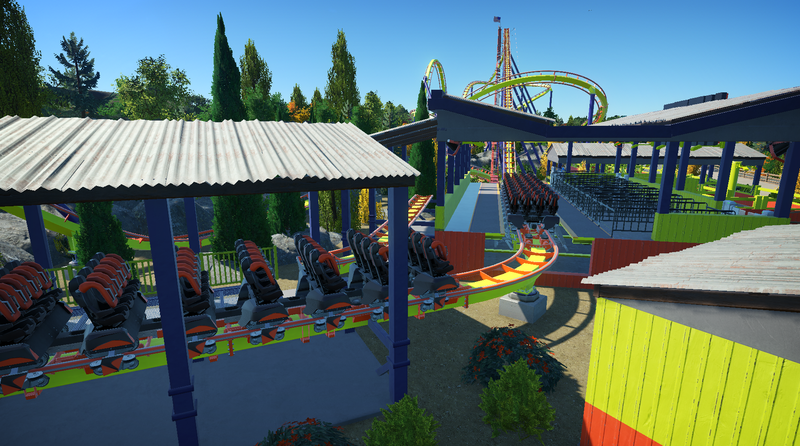 Also new trains where added to the coaster. From here you can see most of the layout from Fury! Like the way the supports form a trellis over the queue on the final turn. A good looking coaster all around. 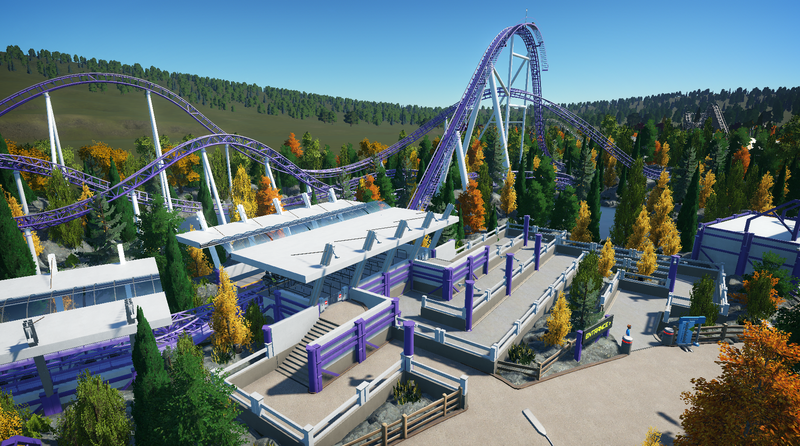 So here is Heat, this is a B&M Floorless coaster with 4 inversions. The coaster opened in 2003 under the name Cobra. Here you see the back of the coaster, with the pre-drop and 2 corckscrews. You've got a great line up of coasters in this park. Heat looks crazy! I love the color scheme too. 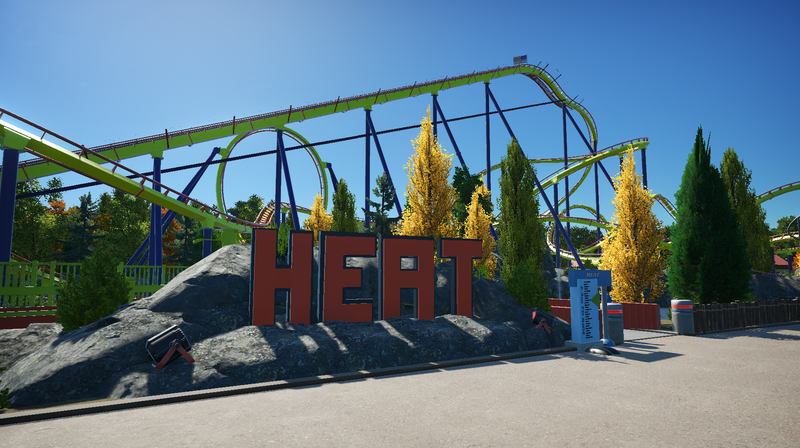 I am loving that heat coaster! Awesome job! Thank you, it whas my intesion to keep it realistic. So that is good to hear! Thanks, I tought it was nice because i thought it looked a bit empty! So here are some new pics from the entrance area, the parkinglot and some backstage action! So here is where the food comes in, also from here you can go under Heat to do maintenece if needed. And all of the waste of the park is going here. Here is where all the car park services are. This is the first sign you see from the most far away parkinglot. And then you reach the entrance, ready for a fun day at White River! Great design! Really impressive and would love to visit this in real life. Also very cool how you manage the backstage areas. Love the rustic curved path going through the rocks and trees that leads from the parking lot to the park entrance. This park has an awesome realistic feel to it. 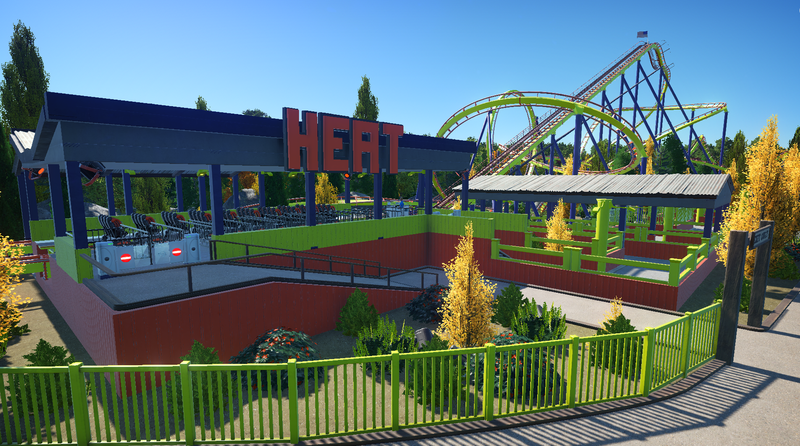 Fury and Heat are my favorites right now and having a backstage area really adds that extra realism to make your park stand out. I can't wait to see more. It's super nice to see all the comments! Thank you!